Holy Smoke! The New Cruze Diesel is No Kidding! 3.9-4.2L/100km on a 102km/hr with the engine revving at 1400rpm! I don't doubt it can run 900+ km's in one single tank! That is equivalent to $20/week! NOW! the average driver spends around $250/month on gas, which is $3000/year. Cruze Diesel engine is an added cost of around let's say $3000. And after 80 weeks, total money I spent on gas cars is exactly equals to the diesel Cruze I bought. So think it this way, me and my sister both bought a Cruze, she drives a gas, and I drive a diesel, my purchase price is higher by $3000, but after our 5 years lease ends, (assuming insurance rates are the same), she will be spending $$$10,080.00 more than me! I pretty much have saved up enough money to lower my payments by $70-$80/ month on my next car if I don't want to spend on unexpected costs after warranty expires. Ok, what if I exaggerated? Then divide that $10,000 by half, still over $5000 in saving. So what's the reason not to go this route? Darn, I love these numbers! This short article is from Peter Chen's Facebook. Ask Peter about the Chevy Cruze Diesel, email: peter.chen@vickar.com. 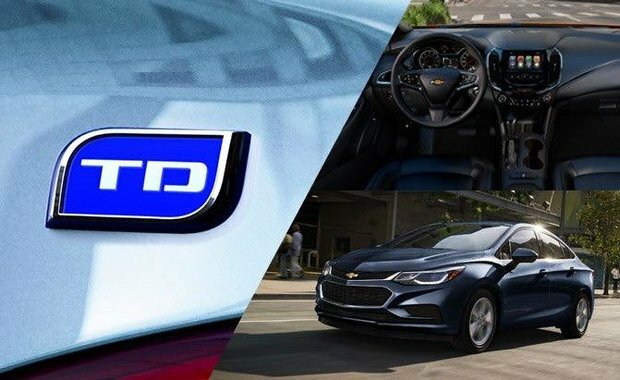 To learn more about the 2017 Chevrolet Cruze, contact us today at Vickar Chevrolet.